The big dinosaur bones that are excavated by paleontologists are usually true fossils, formed by a process of mineralization. Over millions of years, groundwater containing dissolved minerals seeps into bones that have been buried by later sediments. The minerals in the bones turn solid, somewhat like limescale forming in pipes, and this transforms the bones into stony fossils. These teeth and jaws of the giant Cretaceous hunter Tyrannosaurus rex were preserved in this way. 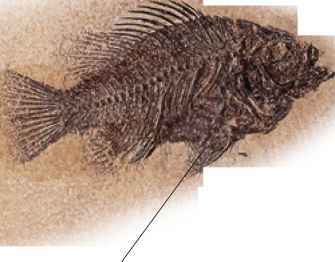 Some fossils do not preserve part of the animal's body, but show where it has been. These can be among the most fascinating fossils, because they give clues to how an animal lived. 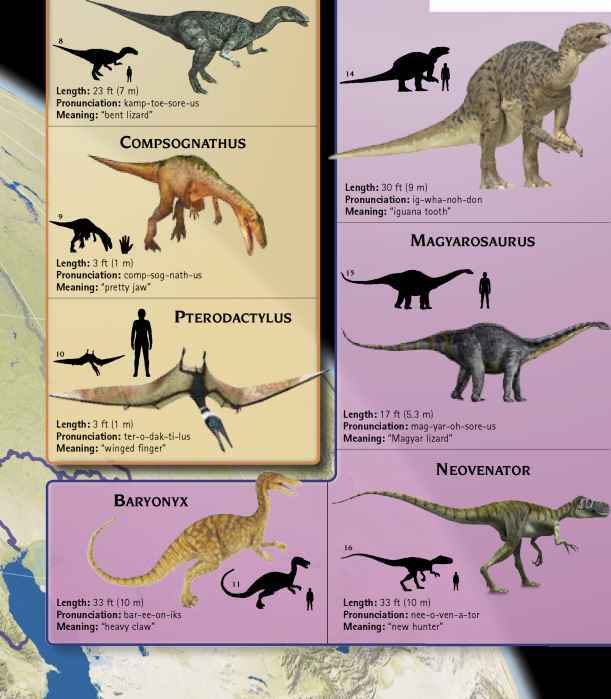 Dinosaur trace fossils include the remains of nests and burrows, and even fossilized droppings called coprolites. 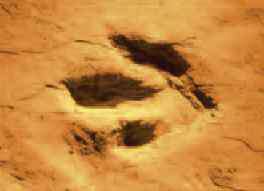 Some of the most common are footprints, like this three-toed print of a theropod.